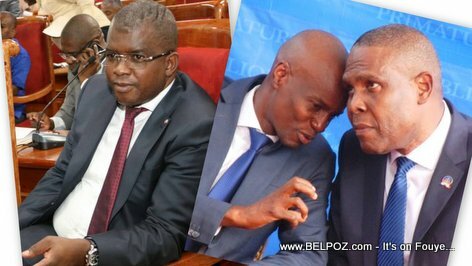 Haitian Senator Rony Celestin said he had some serious talks with both Prime Minister Henry Ceant president Jovenel Moise and wants PM Ceant to have full power to create a government of consensus so that Haiti can get out of this crisis once and for all. Rony Celestin says: "I think the time has come for each and every Haitian, whether you are LAVALAS, opposition or PHTK, it is time for us to say that we are all Haitain, Haiti is our country and no one else's." "We have to admit all of this is our fault... and we have to move the country forward so the people can finally breath some fresh air... "
Senator Rony Celestin said Prime Minister Henry Ceant needs to exercise his full power and start a real dialogue, talk to everyone, put everyone in the government so they can all face their responsibility. It is the only way for the country to move forward, he said. Senatè Rony Celestin chita pale ak President Jovenel ak PM Henry Ceant.